Sometimes all you need is one video that captures your product perfectly. In this case Hasbro probably couldn’t be happier with these seemingly cute brothers promoting their Pie Face Showdown game. This family game has an extremely simple concept. There’s a throwing arm on which you apply some whipped cream (the ‘pie’). There are two chin rests and two buttons to mash for either player. The person that can mash his/her button the fastest launches the whipped cream arm in the other person’s face. 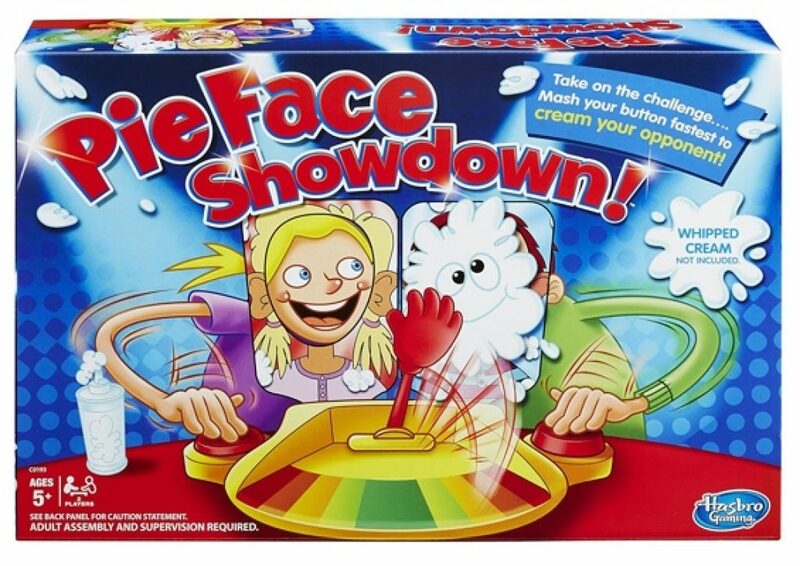 Pie Face Showdown is the perfect opportunity for a rage inducing evening that destroys relationships. When you bring this out, it’s on!